Amazing Lakefront Location on All Sports Commerce Lake! Incredible Sunset Views w/ 40 Ft. on Main Body of Lake with Sandy Beach Frontage. 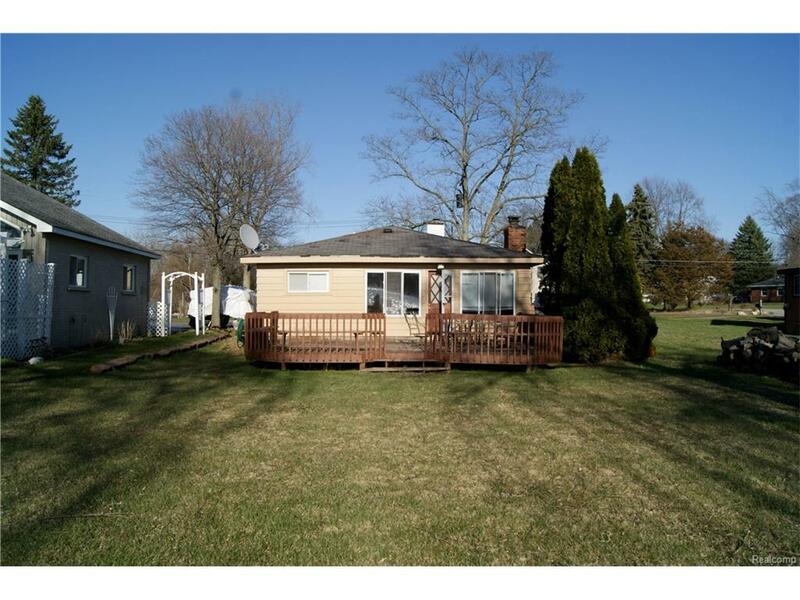 Remodeled Ranch w/ Newer Island Kitchen w/ Counter Top Seating & Ceramic Tile. Huge Great Room w/ All Natural Fireplace. Totally Updated Bathroom, Master Suite w/ Huge Closet & Built-In Dresser. Newer Electrical, Plumbing, and Water Heater. Professionally Painted Interior. Huge Deck Overlooking Large Backyard & Lake Front. Fire Pit Near Lake. 2.5 Car Garage. Walled Lake Schools. Perfect for Vacation Home or Opportunity to Build New Lakefront Dream Home. All M & D Approx.